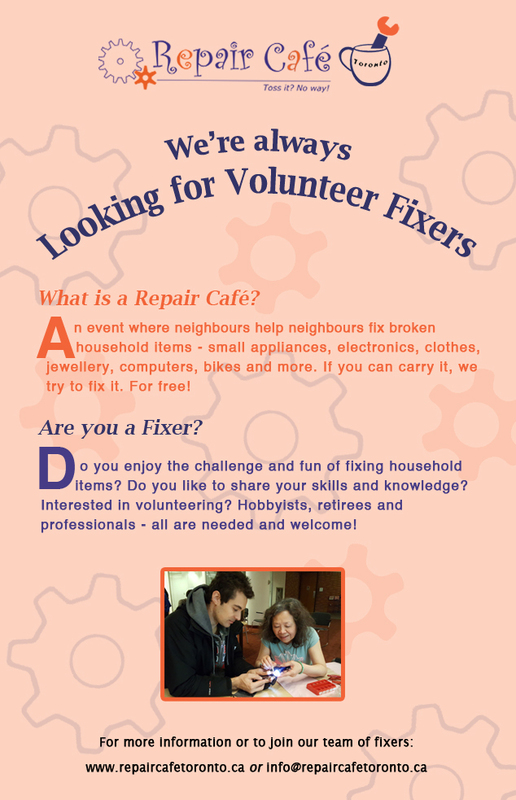 Repair Café has teamed up with Toronto Tool Library. 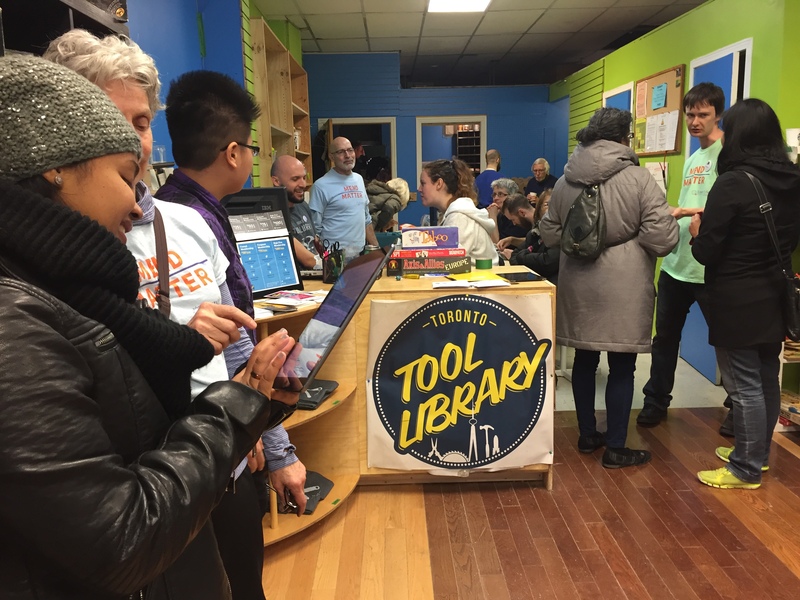 We now have a walk-in space at the Tool Library’s new St. Clair location – 830 St. Clair Ave. W.
We will be there every Sunday from 12 – 4 p.m (except long weekends). We have up to six fixers who can offer help to fix your broken Small Appliances and Home Electronics. In future, we plan to provide fixers for other items (e.g. clothing, jewellery and computers) and fix-it workshops, too! Check back HERE or our Facebook page to find out what we are fixing each week.